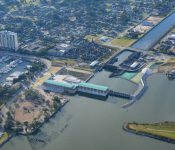 The three main outfall canals in New Orleans, located at Lake Pontchartrain, are critical elements of the area’s flood control system, serving as drainage conduits for much of the city. 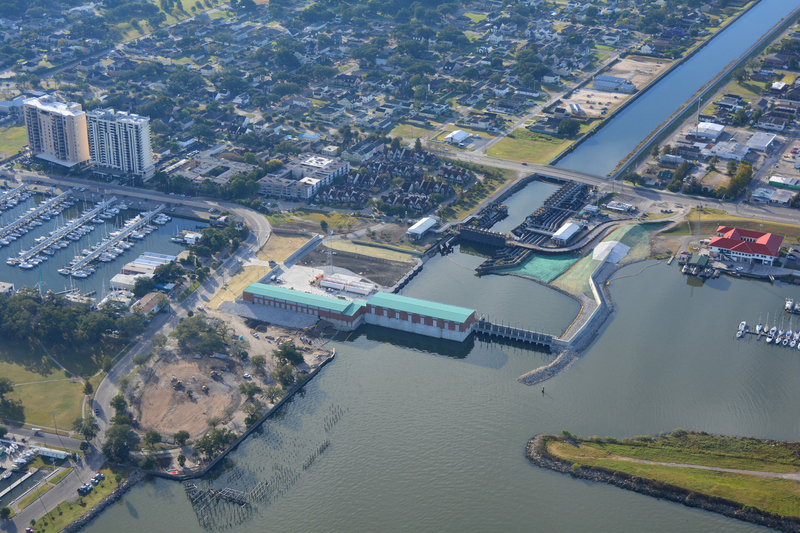 Running south to north near the Orleans Parish lakefront, the 17th St., Orleans Ave., and London Ave. canals include floodwalls and levees. 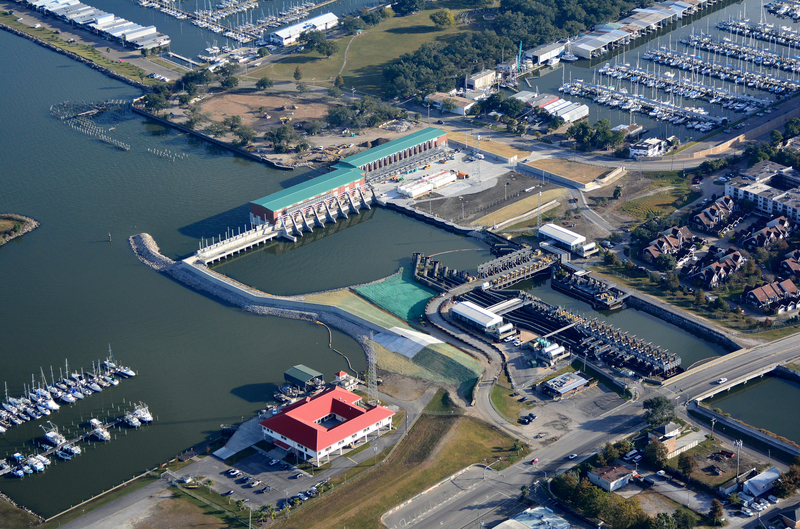 To block storm surges at these flood-prone canals, the U.S. Army Corps of Engineers elected to replace interim closure structures (ICS) built in 2006 with new separate, permanent closure structures and pump stations (designed to operate concurrently or in series with existing drainage pumping stations). 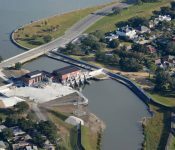 The project is part of the $14.5 billion Hurricane and Storm Damage Risk Reduction System (HSDRRS) for southeast Louisiana that also includes 350 miles of levees and floodwalls, 73 pumping stations, and four gated outlets. 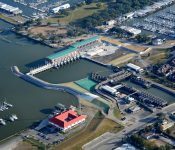 USACE awarded the work to PCCP Constructors, a joint venture, the best-value team led by Kiewit as majority partner with Stantec as lead designer. Upon NTP, the team had approximately 1,295 calendar days (approx. 3.5 years) to reach substantial completion, which was later extended by 300 calendar days due to client-requested changes. 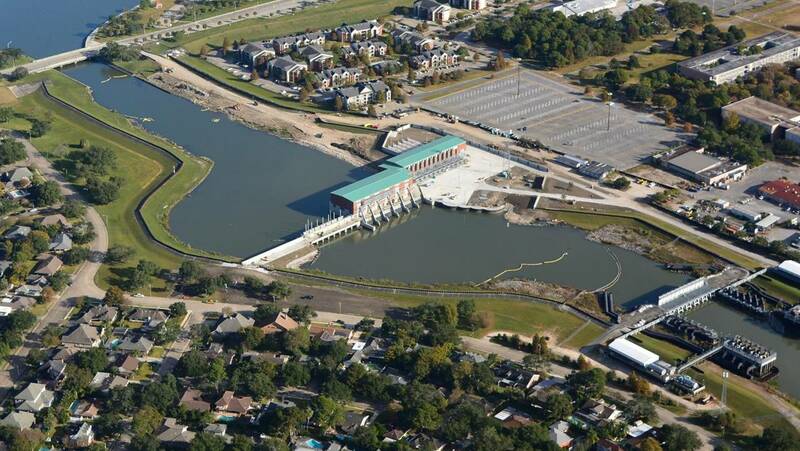 The project involved permanent canal closures and pump stations (PCCP), including control stations and associated flood protection (T-walls and levee tie-ins) at three locations, including architectural, engineering, permit support, procurement, site grading and drainage, demolition, construction, testing, project management, quality control, and commissioning. 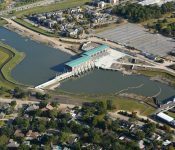 The work entailed significant coordination with contractors at multiple project sites, as well as consideration of environmental, HTRW, and construction impacts. 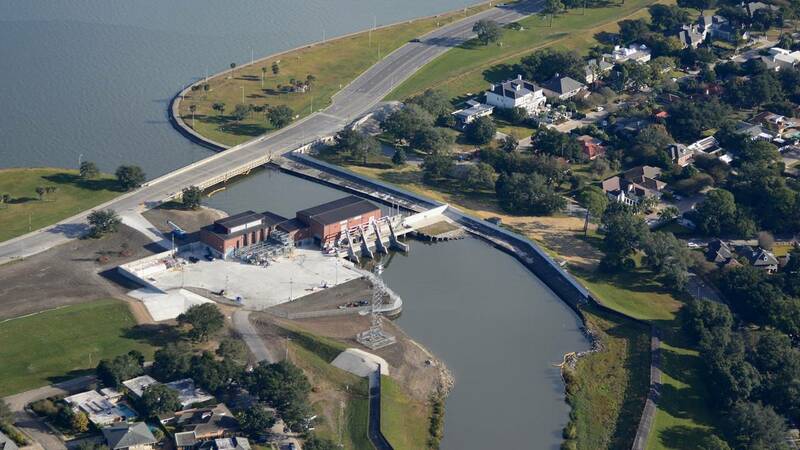 The design provided permanent gated storm surge barriers and three brick façade pump stations to move rainwater out of the canals, around the gates, and into Lake Pontchartrain. 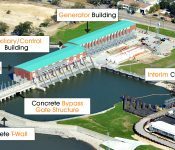 Each pump station – offering pumping capacities of 12,600 cubic feet per second (cfs), 9,000 cfs, and 2,700 cfs – has a concrete substructure and a steel / precast superstructure. 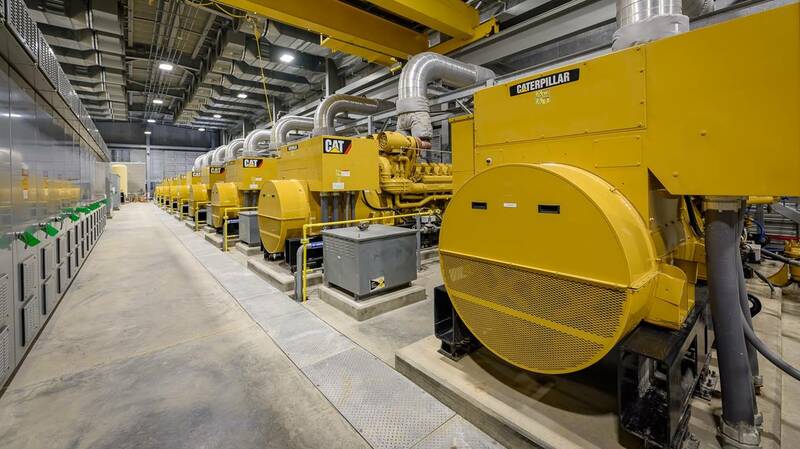 Standalone emergency generators allow operation independent from public utilities for up to five days. 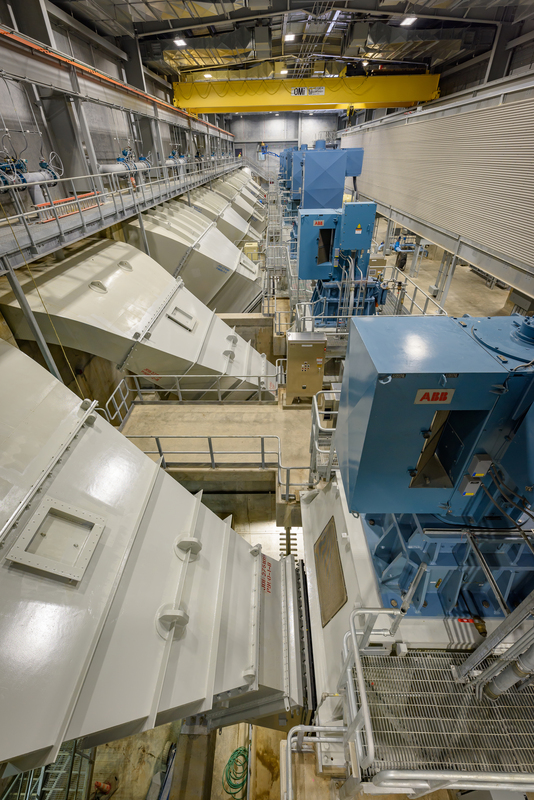 The new system, with a total pumping capacity of 24,300 cfs (15,700 mgd), reduces the risk of storm surges while maintaining a continuous capability to evacuate stormwater and normal drainage flows from the interior of the protected area. The design-build delivery model contributed in many ways to the project’s success. 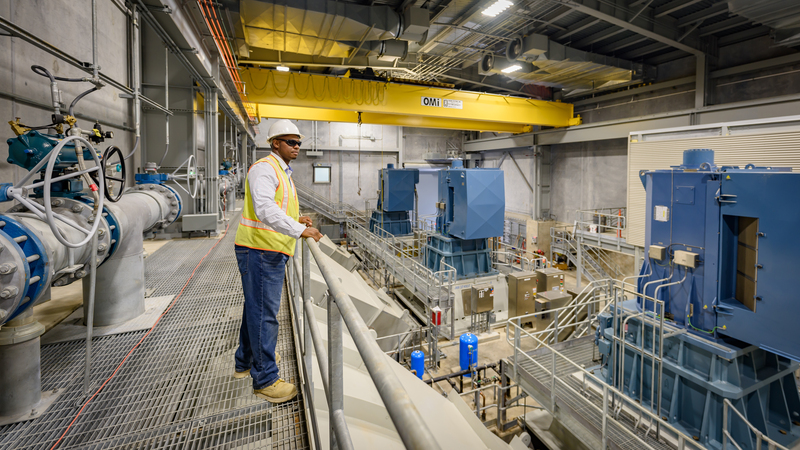 Co-location off-site with USACE and the team during early design contributed significantly to productive, expedited design reviews, issue resolution, constructability, value engineering, and efficiency—all helping the schedule to stay on track. Later, the same groups co-located on-site. Task forces provided the opportunity for the entire team to share information and to reach outcomes that met diverse needs. Each team member could learn about the individual designs in real time and participate so individual perspectives were understood and addressed. 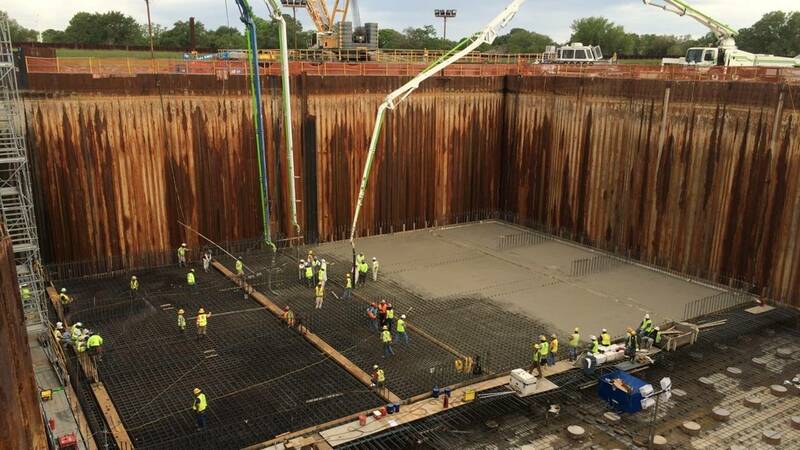 This resulted in innovations such as using PND’s patented OPEN CELL SHEET PILETM retaining wall system for both the permanent intake walls and the temporary pump station cofferdams. 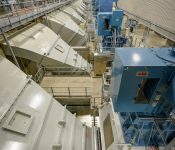 The system configuration efficiently mobilized the available shear strength of the soft clay behind the walls, which resulted in a wall structure without internal bracing or tie-backs. 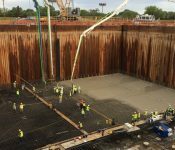 The OPEN CELL system eliminated the need for ground improvement and substantially improved constructability and productivity by providing a free field of construction and safe access 50 ft. below the ground and groundwater surface. 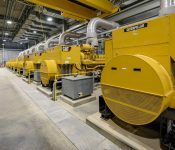 The system was also able to support large construction equipment loads near the leading edge of the wall system, resulting in optimization of site operations for construction and ongoing operations at the pump station. 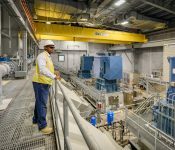 Similarly, Kiewit identified major procurement items and suppliers early and communicated delivery schedules well ahead of time—leading many suppliers to meet or beat the schedule. Risks were identified and mitigation plans implemented early, before the project could be impacted. The team visited subcontractors and suppliers regularly, ensuring schedule and quality were maintained.